RE:Present16 was a pilot initiative which sought to transform the diversity of Birmingham’s cultural leadership. 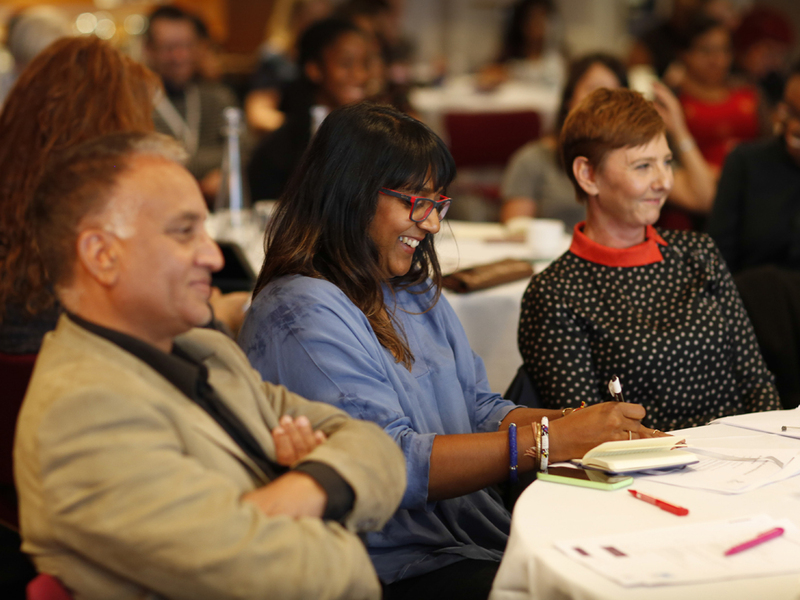 The programme was created and delivered by Helga Henry and Lara Ratnaraja in the Spring of 2016, and it was supported by Birmingham City Council (BCC), Arts Council England (ACE), Aston University, University of Birmingham and Birmingham City University (BCU). There are three strands to the programme, including an intensive course, brokered mentoring and networking events with guest speakers. The evaluation captured the experiences of individual participants and the recommendations informed future projects such as ASTONish, launched in May 2017. Observing a selection of course sessions and associated events; Interviewing ten participants, using semi-structured questions and each interview lasting about an hour; Interviews with Birmingham City Council arts department and the Arts Council England diversity officer; Collecting social media activities by tracking the hashtag RE:Present16 and the Facebook group; Encouraging feedback from all members of the cohort to track early indicators of impact such as collaborations, changes in individual careers and shared opportunities. In evaluating this pilot programme, the report had two main objectives; to offer insights for further iterations of the RE:Present16 programme and to inform cultural policy by opening up a discussion with, and between cultural leaders and stakeholders. From the empirical evidence presented in the findings there is no doubt that the participants’ experience of this pilot has been highly impactful: in relation to their personal development; in terms of the potential contribution to Birmingham’s cultural landscape; and in addressing diversity in cultural leadership. Recommendations for future iterations included a deeper investigation of ‘diversity’ and attention to the recruitment process to invite a wider range of individuals to benefit from the programme. We have worked in partnership with the M&E Lab at BCMR from the outset of RE:Present. Working collaboratively with the team we co-designed a framework for the evaluation to ensure an embedded and iterative evaluation process that proved of value to us but also ensure that the participants voices were heard all the way through. The M&E Lab team were very much part of the delivery of the programme leading to a unique perspective that gave us important insights, helped us to disseminate the programme’s success in different ways and informed the development of our new programme ASTONish. The reciprocal partnership with M&E Lab ensures we continue to recognise the challenges for all those engaged in equality in the arts and cultural sector.